While Wendy grew a military kid moving from place to place around Canada and Europe, she’s made Red Deer her home since 1988. 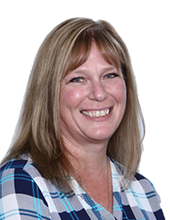 Intensely familiar with Central Alberta lifestyle and its people, she joined the modular home industry in 1998. Experience is everything in this business and she certainly comes with loads of it. Wendy has four children and is very attuned to the housing needs of families through all the stages of life. That, combined with her attention to detail makes her perfectly suited to navigate you through the process of your new home purchase from start to finish.